At 9:00 am on the first Sunday of the 2013 NFL season I was conspicuously absent from my couch-throne, where normally I would have been simultaneously watching NFL pre-games and checking my laptop for the latest fantasy updates. 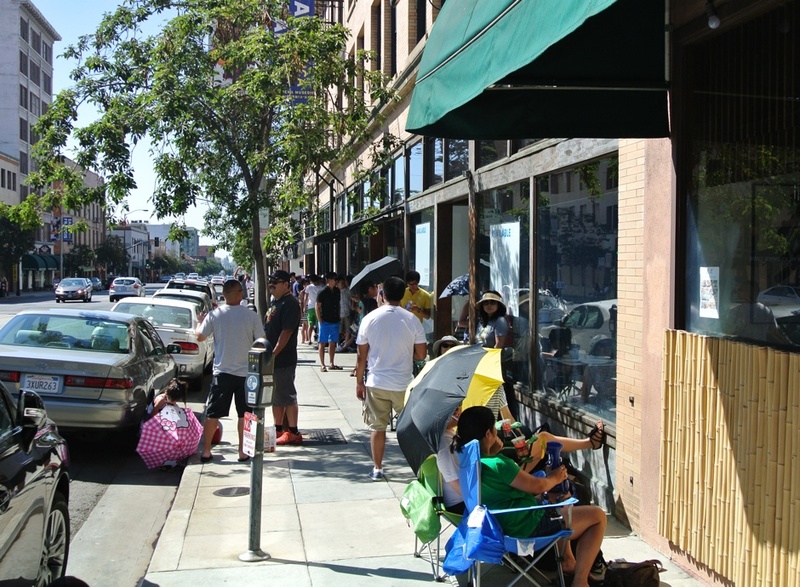 Instead, I found myself enduring the full force of the sun’s mid-morning glare while waiting in line for the latest in food hype – the ramen burger. 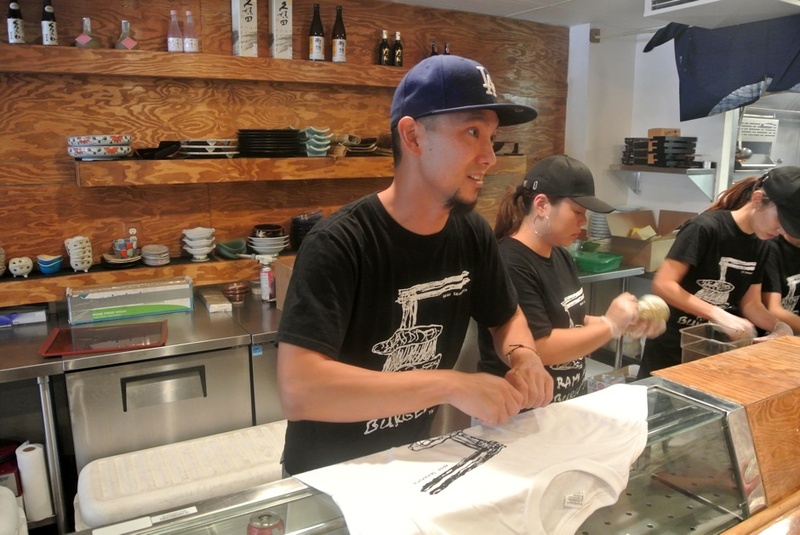 Chef Keizo Shimamoto, a Los Angeles native, first introduced his ramen burger about a month ago at Brooklyn’s Smorgasburg, quickly attracting crowds of people reminiscent of the now often-imitated cronut. Keizo decided to bring his (far) East meets West creation back to his hometown with two pop-ups over the weekend. After a reported 1,000 people showed up to Mitsuwa market in Torrance on Saturday to try to secure a taste, the scene at Osawa the next day was less crowded and better managed. 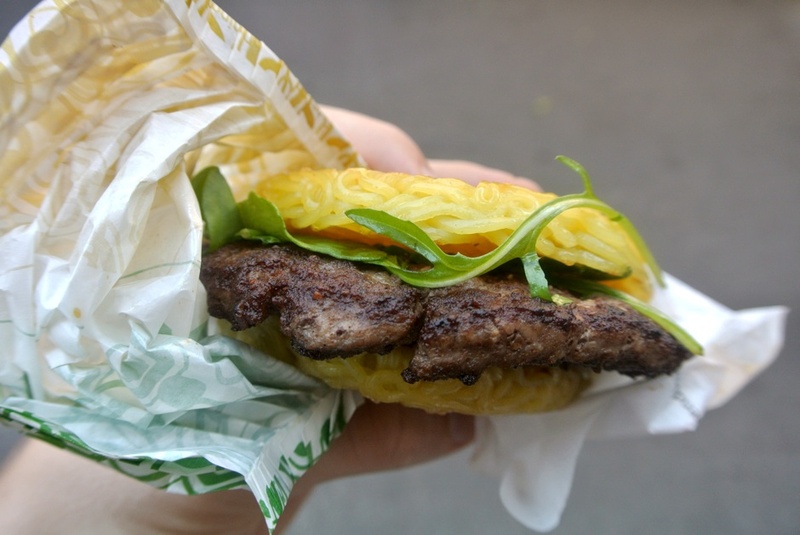 The ramen “bun” was exactly how I imagined it would be, with a slight outer crunch giving way to firm, chewy noodles. It reminded me a lot of the Maruchan yaki-soba packets I would eat for a snack as a kid, but instead of using the sodium-laden seasoning packet to add flavor, Keizo applied a soy sauce glaze that was just right; not too sweet, not too salty – just the perfect amount of umami. Everything was great up to here, including the use of arugula and green onions for color and as a counterpoint to the burger’s heavier components. Unfortunately, I was a bit disappointed in the patty. It was on the thin side, overcooked (at least for my preference), and above all, just seemed to pale in comparison to the impressive ramen bun. 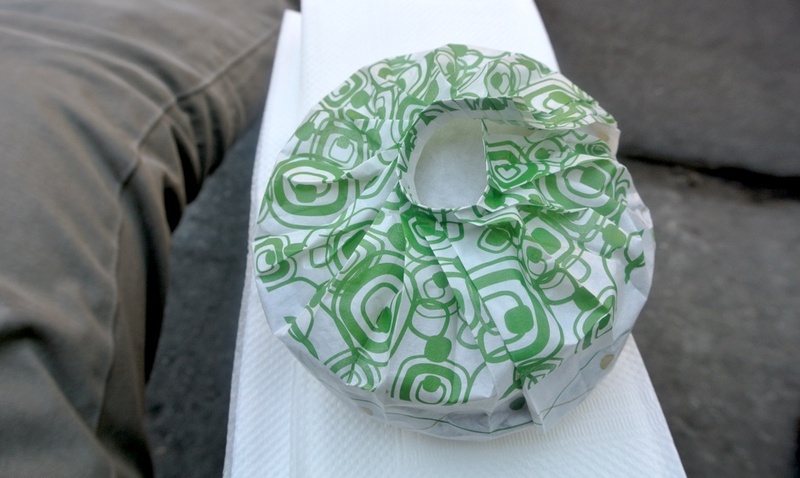 Already there has been an influx of copycats attempting to ride the hype train, but from what I’ve seen and read nobody has come close to touching the original creation (much like Dominique Ansel’s cronut). 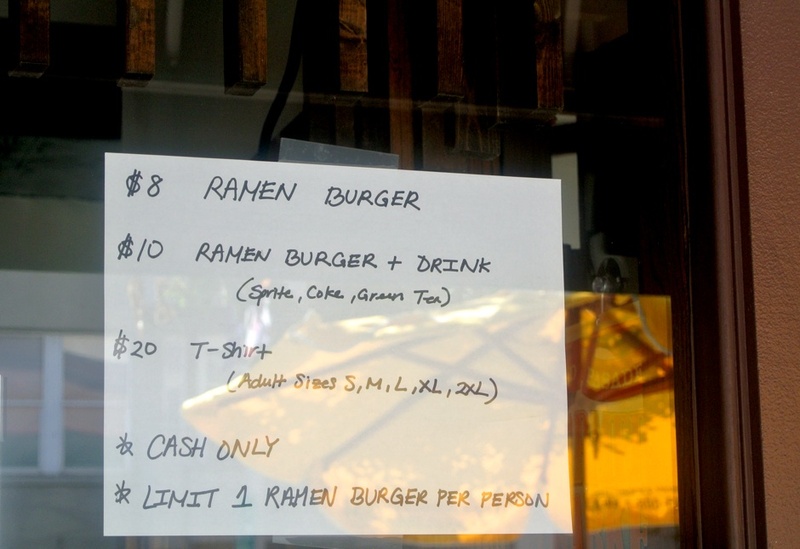 I’m curious to see what the future has in store for Shimamoto’s ramen burger, whether it will remain a festival and pop-up item or if he has plans to expand on the concept and turn it into something more permanent. Regardless, if you ever have the chance to try it (and don’t have to wait for more than 45 minutes for it) I highly recommend doing so.